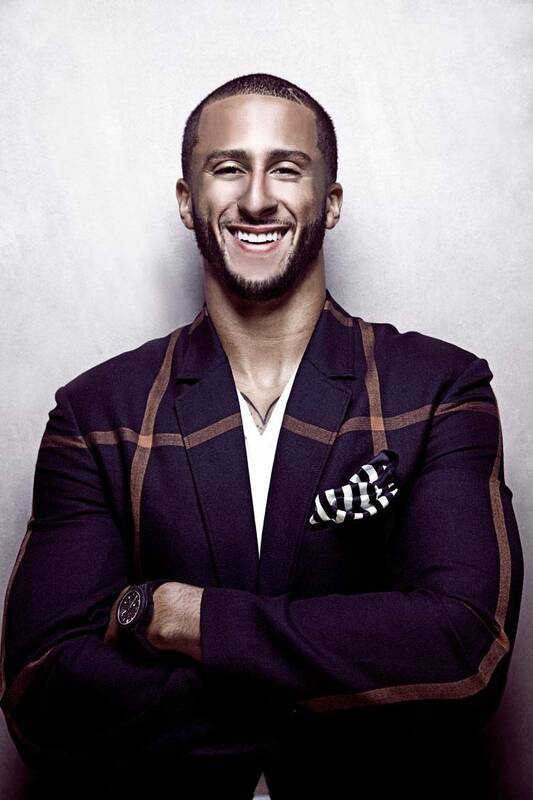 But who is the real Colin Kaepernick? Is he the adopted son of a loving family who urged him to chase his dreams? You bet. Was he the golden boy at John H. Pitman High School in Turlock, California with a reported 4.0 grade point average who also happened to be a three-sport star? Absolutely. 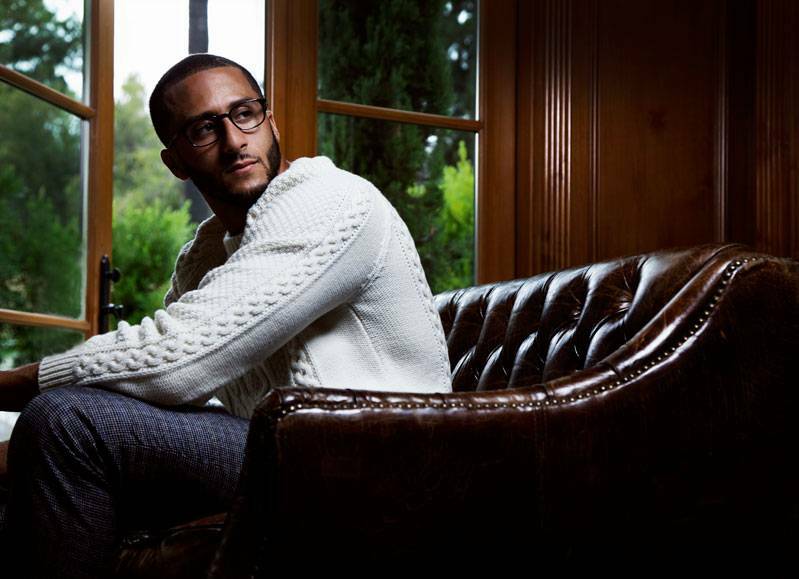 Is it true that he was selected by the Chicago Cubs in the 43rd round of the 2009 Major League Baseball draft, but chose to pursue his love of football at the University of Nevada instead? Yep, that’s also a fact. These details are all part of the man—they help to describe him, but they do not solely define him. 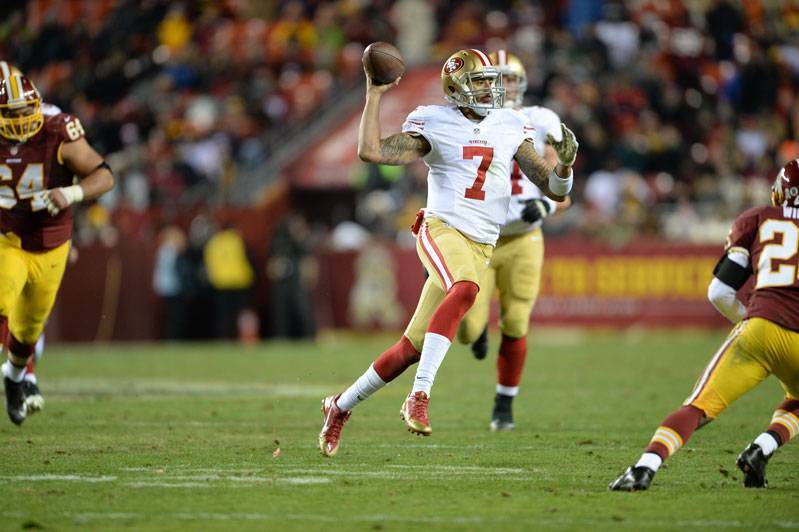 The NFL star’s most recent bit of self-expression caused quite the commotion back in July. 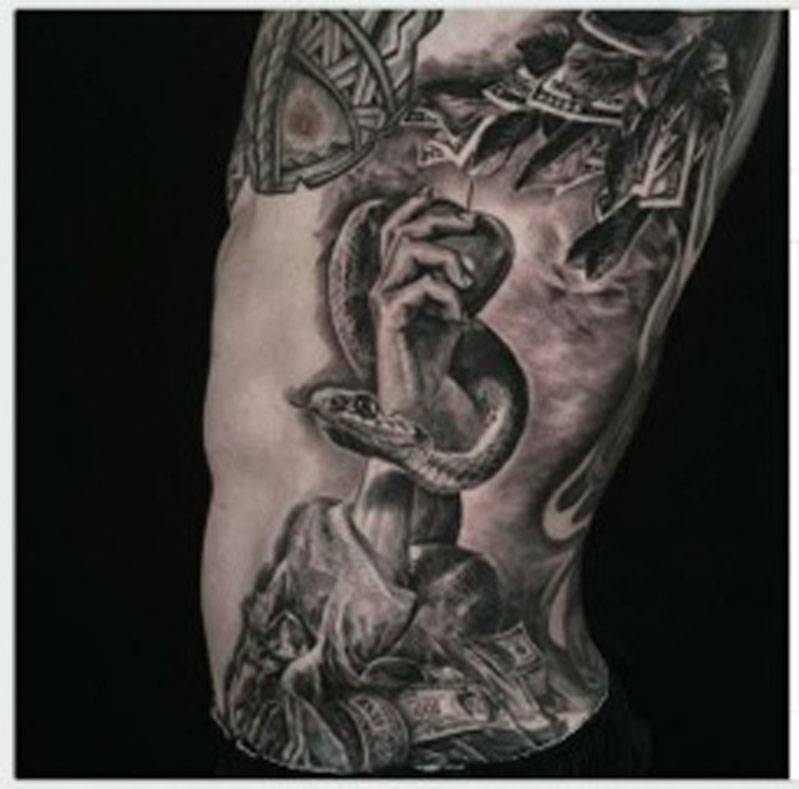 He proudly posted his new ink on Instagram—a pile of money attached to the root of a tree interwoven with an arm holding an apple that is constricted by a snake—a Biblical reference to Adam, Eve, and the Garden of Eden. Along with the image, he also posted the caption, “Money is the root of all evil!” which many a naysayer found hard to believe from the man who had just signed such a substantial deal. 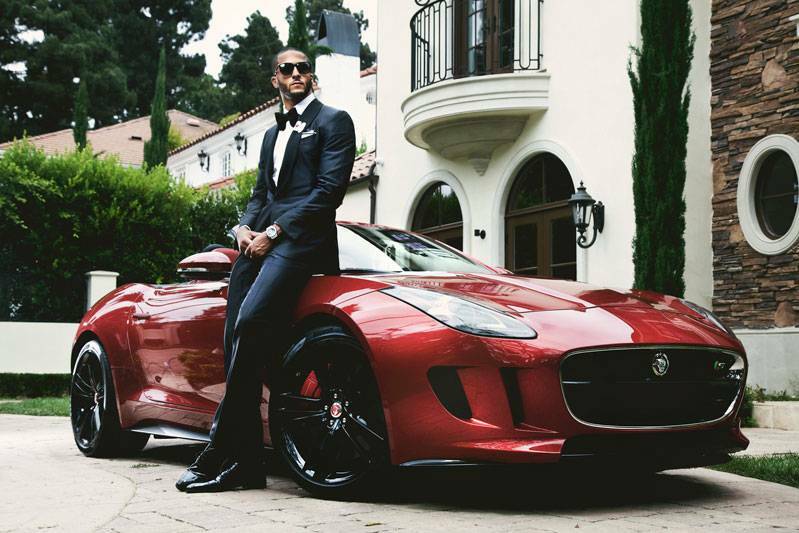 “My latest tattoo isn’t just a reminder to me, but also a reminder to everyone that money isn’t what’s most important,” Kaepernick is quick to clarify. “A lot of times, money will drive people to do things that are out of character—out of the norm; I don’t want to be one of those people that money changes—I don’t want to become someone I’m not. I want to stay true to myself whether I have ten dollars or a million. [This tattoo] is a reminder that people look at me differently now. 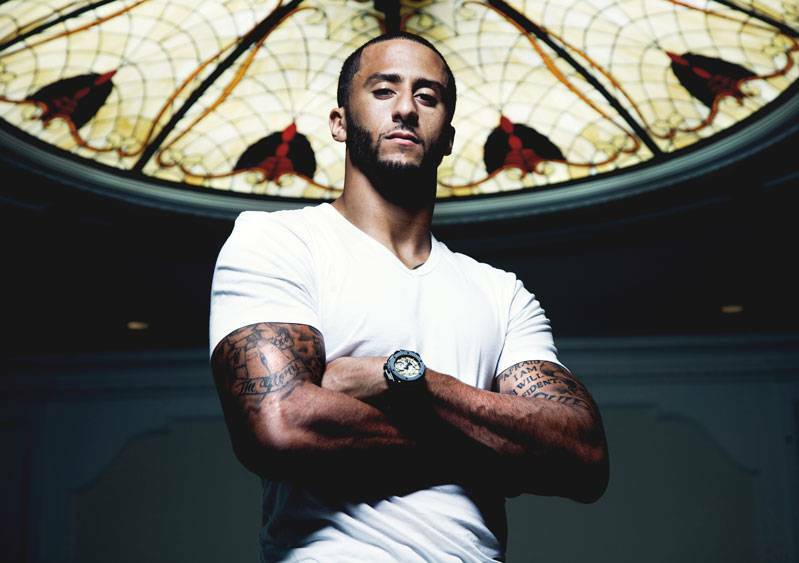 Since I’ve been in the NFL, people ask different things of me for the simple [reason] that I have the financial means to help them.” Another of his tattoos sums up his feelings about the matter perfectly: written on the inside of one of his biceps is ‘My gift and my curse.’“This is truer than ever, especially at this point in my life,” he says. “The gift I have is to play football and how far it’s brought me is truly a blessing. There are a lot of positive things that come with it: success and financial gain, that help my family and me. At the same time, it’s also a curse. Expectations of you change, and perceptions of you change, whether you change as a person or not. Take, for example, his involvement with Camp Taylor, an organization that offers several programs for youth suffering from heart disease, as well as support for their families. 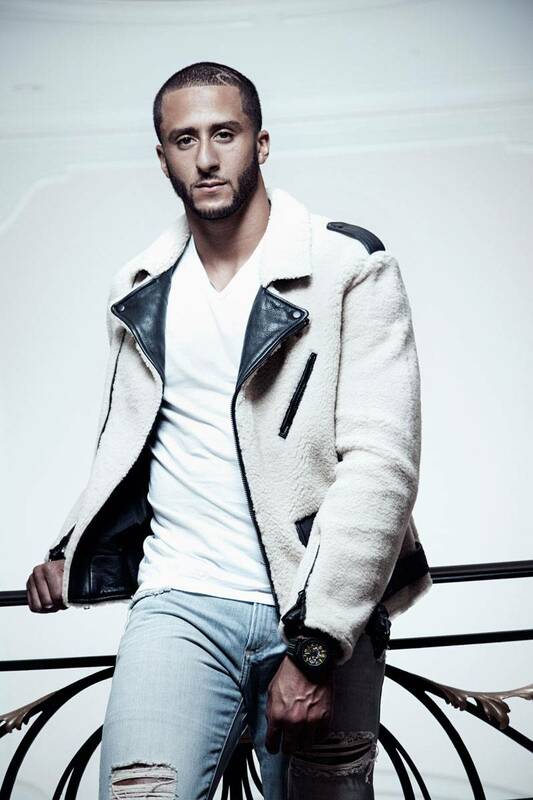 The NFL star wanted to do so something philanthropic to honor the two brothers his parents Rick and Teresa Kaepernick lost to the disease prior to his adoption, and so committed himself to the charity. He not only raises funds and awareness by visiting the organization’s “heart camp,” but also by hosting the annual “Against All Odds” golf tournament. “My first big philanthropic endeavor was with Camp Taylor. I wanted to help people that are going through rough times, who are struggling and might have been dealt a bad hand in life. I wanted the opportunity to help them overcome, and go through those things with a positive outlook,” he says.